You many want to edit the names and descriptions of your galleries. 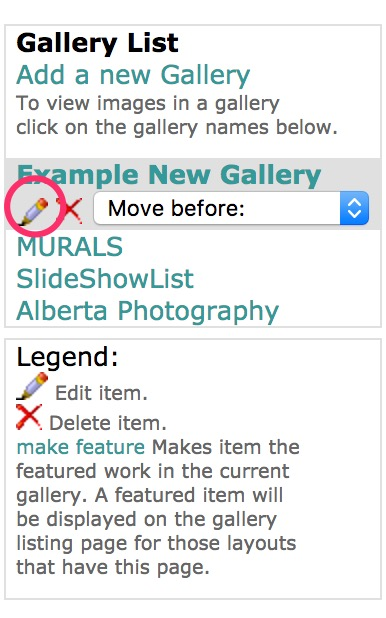 Here are the instructions on how to edit a gallery. Go to the 'Gallery' tab in your Administration Panel. Under Gallery List, you will see a list of your galleries. Be sure to scroll down and click the 'Update Existing Gallery' button to save!